A journal for parents and children ages roughly four to ten (although age range is flexible) to share the evolution of thoughts, feelings, and dreams over the years. Also great for kids who want to keep a time capsule of their own whimsical thoughts and serious ideas about the world. 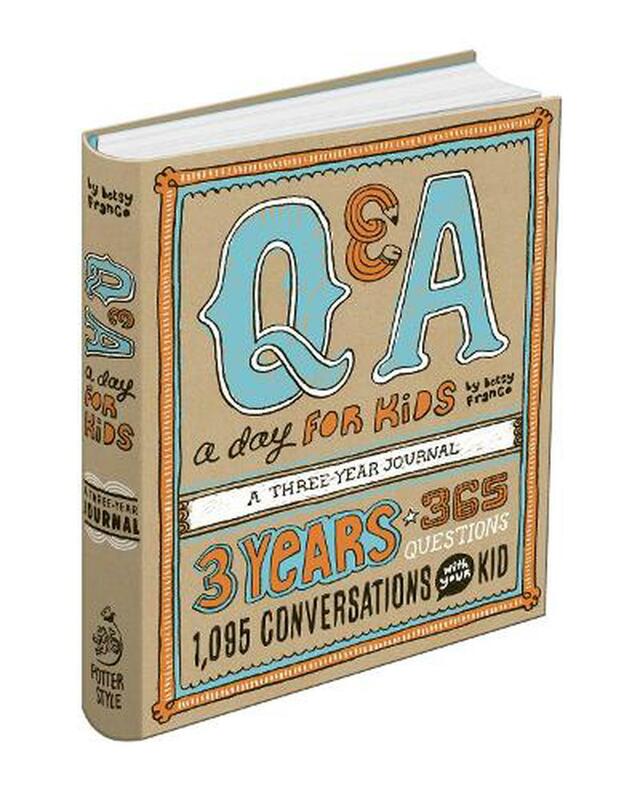 Inspired by the previous bestselling Potter Style title, "Q&A a Day, " this journal is the perfect family keepsake. A question by children's author Betsy Franco is featured for each day with only a few lines provided for a response, making this journal the ultimate no-fuss record keeper. Simply turn to today's date and record your child's answer. When you finish the year, move on to the next section. As the years go by you'll notice how your child's answers evolve, sometimes silly, sometimes precocious, but always interesting. The diary can be started on any day of the year and makes a terrific keepsake or gift for parents.